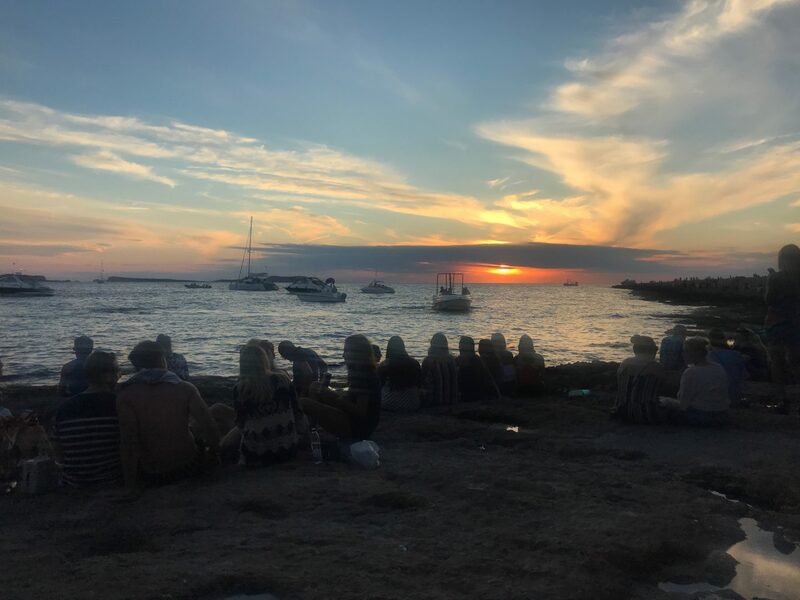 Everybody knows that Ibiza is the party capital of the world, famous for it’s wild parties and DJ sets, but just what else does the White Isle have to offer? 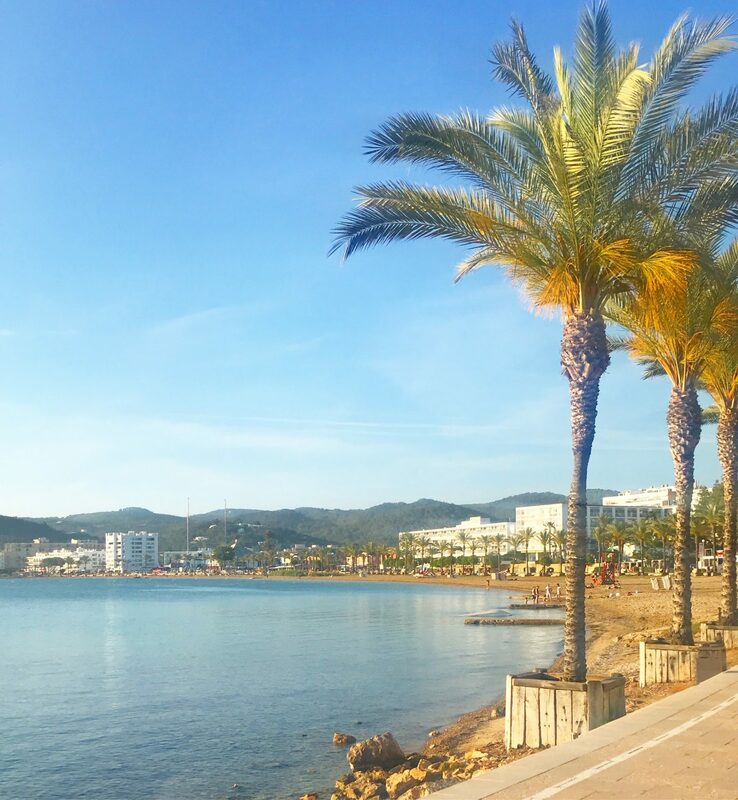 Myself and my best friend, Amy, jetted off for 5 nights recently so I thought today I’d offer up a guide to Ibiza. So we went as a pair for a girly holiday with a couple of nights out, but a lot of chilling round the pool. Neither of us drinks a ridiculous amount so we wanted a nice balance. We’ve also both done a girls holiday before so we wanted something a bit more relaxed. Don’t fancy reading this whole post? Why not check out my What I packed For Ibiza video instead? So we chose to stay in San Antonio, the resort where everything seems to happen. Although there is plenty of nightlife in San Antonio, bare in mind that some club venues are a taxi ride away, such as Amnesia, however we didn’t bother with these. We booked our holiday through On The Beach, who I couldn’t recommend enough. It was the first time using them but everything ran smoothly (apart from nightmare flight but that wasn’t their fault)! We stayed at the Invisa Es Pla Hotel, which was in a perfect location, 2 minutes from Aldi and the popular club, Eden, but also only a 5-10 minute walk to the strip. 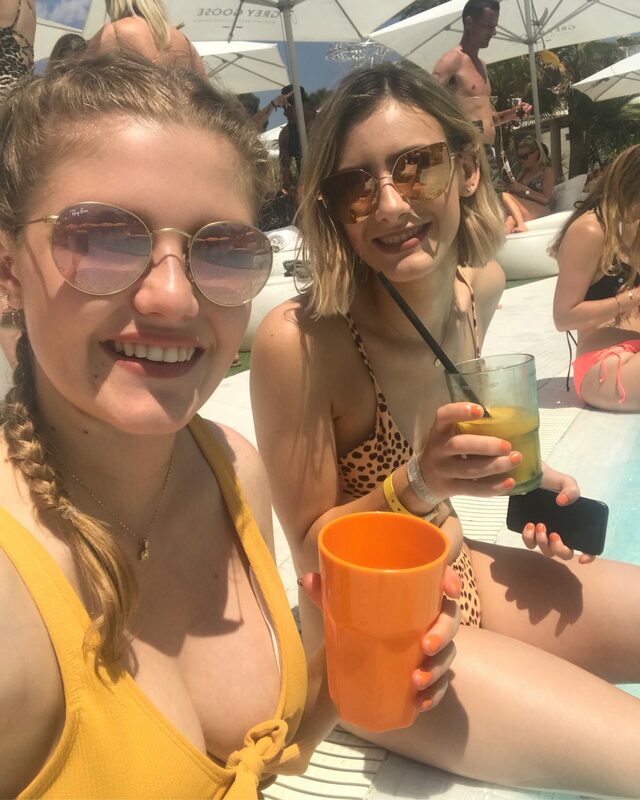 It’s an 18+ hotel, but that didn’t mean it was rowdy and horrible, there was a chilled vibe around the pool and a mixture of Stag Do’s and elderly couples, so very much a mix. It’s also possible to buy event tickets from the hotel reception, from the very friendly staff. That way you don’t pay above the odds, and they could refund your ticket for you if you changed your mind prior to the event. So if you do want a bit of a party, but not too much, then Ocean Beach is a great daytime event. There was a mixture of people our age and people into their forties. Each day is a different event, which basically means the music and dancers will be different for each. We attended Hedkandi on the Monday and we really enjoyed it. There was a live band at one point, and although it was lively, it wasn’t too much. Prepare to take plenty of money, as you can’t leave to get more cash once you’ve entered, we pre-paid for a sun lounger but drinks were expensive. 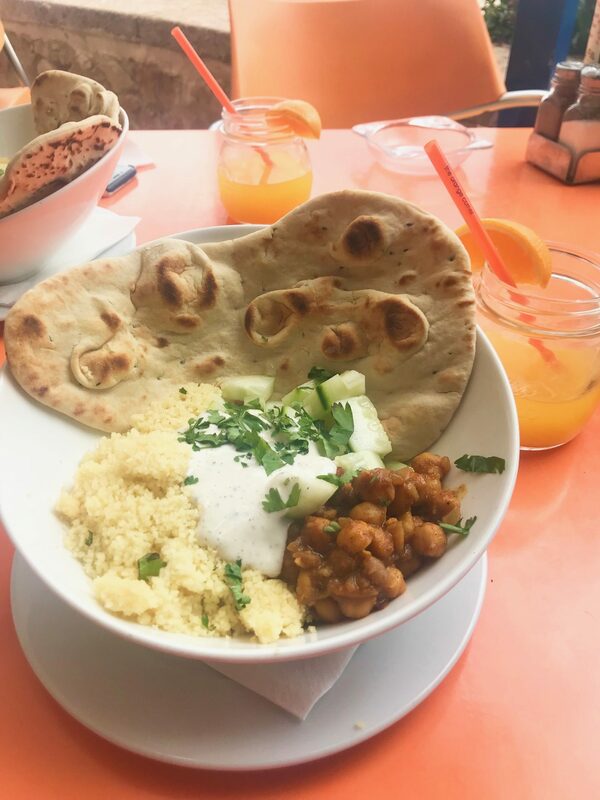 However when we arrived we also paid another £70 euros between us, we were a bit confused but we think the food and drinks bill was deducted off of that as it ended up being really cheap from that point- if you’re confused just ask the staff, they were all super helpful. 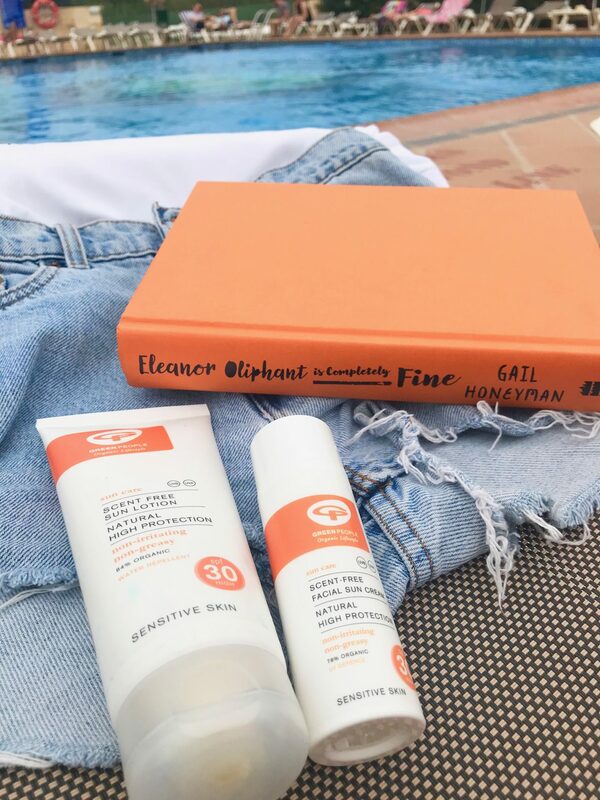 We were able to dip our toes in the pool while enjoying a cocktail, but without having to join in any games or activities usually associated with a beach party on holiday, thank god! If you want a day away from the pool you can catch the bus from San Antonio to Ibiza T,own for 2 euros. We did this on an overcast day when it started to drizzle a bit while we were by the pool. If you like shopping this is the place to go as basically all the chain stores on the island are located here such as Zara and Pull & Bear. Not one for shopping? You can just have a wander along the harbour (we saw the world’s 51st biggest yacht) or stop for a bite to eat in one of the many restaurants. I think this is definitely worth a trip as you get to see parts of the old town, situated on the hill looking over the more modern part of the town. Bongo’s Bingo has been very successful in the UK over the past few months, and this summer it has taken up residency in Ibiza, every Tuesday at Eden. Essentially this event is bingo with raving involved. 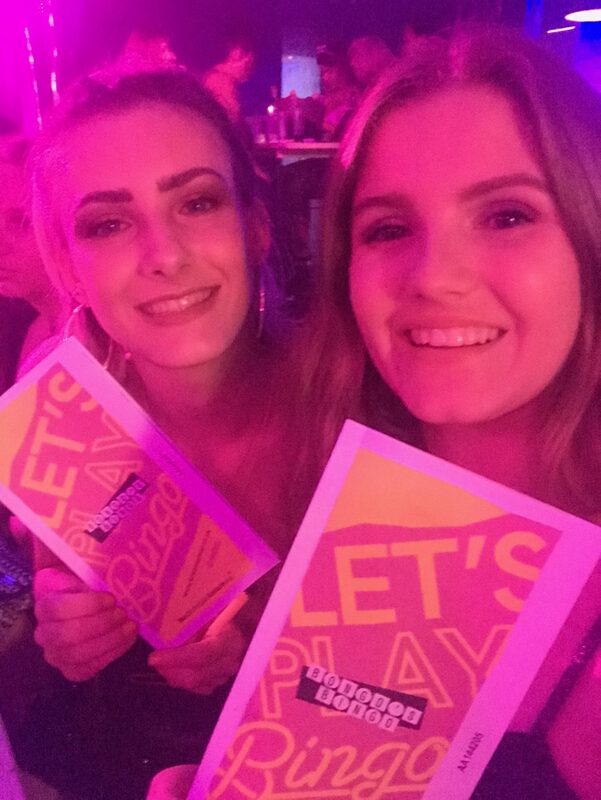 All ages were out in force, there to enjoy the fun and with chances to win Henry Hoovers and cardboard cutouts of Philip Schofield, what’s not to love. If you want a taste of Ibiza nightlife but don’t want to go overboard then try Bongo’s Bingo, it was by far my favourite event we attended! 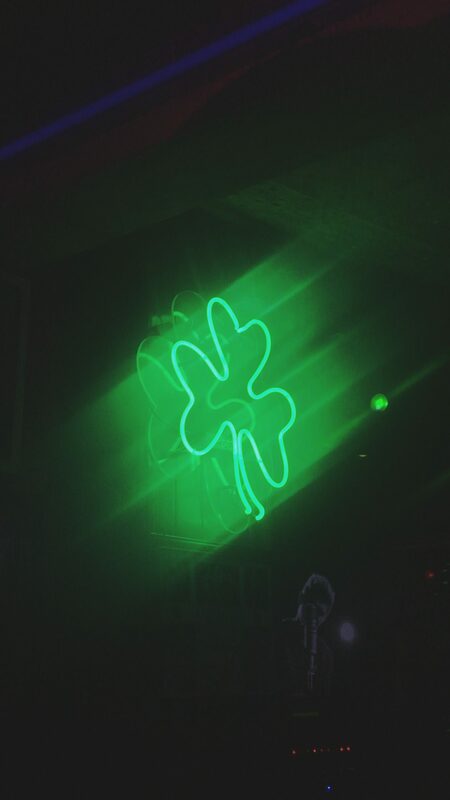 It took us until the last night to realise that perhaps we should have gone to Dublin instead of Ibiza, because the amount of fun we had in Irish bars was ridiculous. My particular favourite was Shenanigans, which featured karaoke and where we saw some of the best dance moves I have ever seen- please note, this included Irish dancing. As a result of these visits to Irish bars, the song of the holiday turned out to be “Tell Me Ma”…. A definite must for Ibiza whether you have gone with friends, or as a couple is to go and watch the sunset from Cafe Mambo. Either book a table in the cafe and enjoy some cocktails, or do as most people do and take your own drinks and sit on the rocks in from of the cafe to watch. It was such a chilled atmosphere with plenty of people, but I get the impression it probably gets a bit more lively later on in the evening. There are a couple of food recommendations I can give to you. Obviously there are plenty of places to choose from, but a couple which particularly stood out are worth a mention. 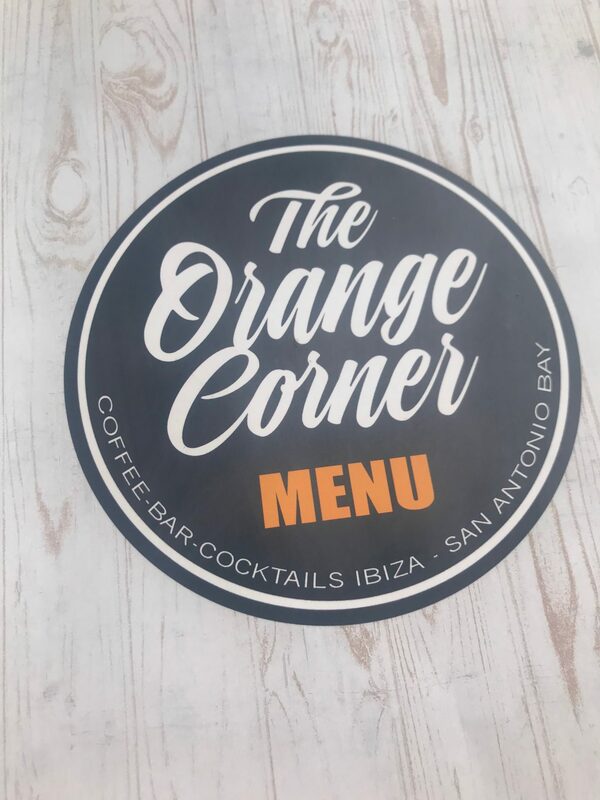 Firstly The Orange Corner, near to the Ibiza Rocks Bar and towards Ocean Beach is amazing! We enjoyed a Moroccan Salad and freshly squeezed Orange juice. It’s safe to say that we felt like the picture of health after that meal. 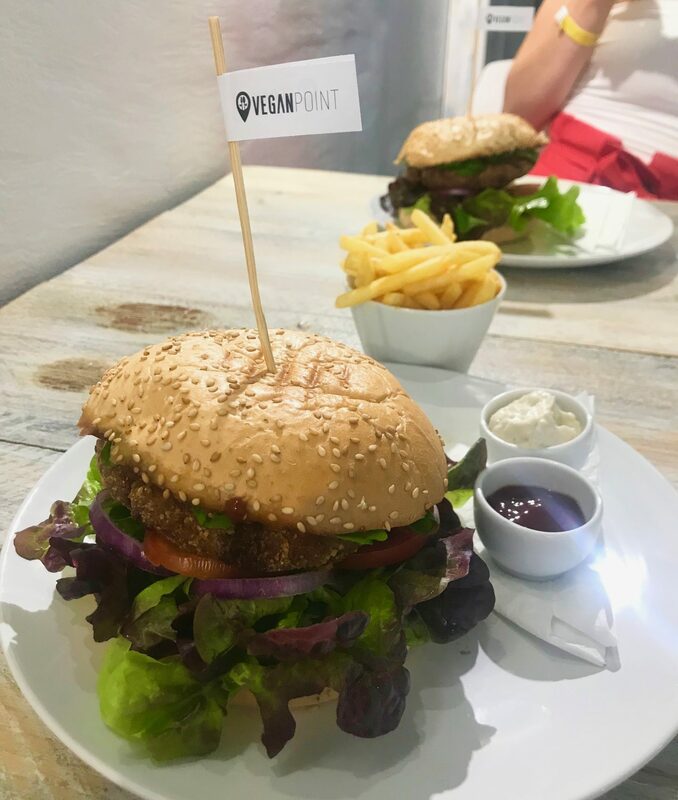 The other place we enjoyed was Vegan Point, towards Cafe Mambo where we both tucked into a Chickpea patty burger- which was again, delicious! The dress code seems to be that pretty much anything goes. We found it reasonably relaxed and headed out in denim shorts, a bodysuit and sandals during the evenings. We chose to just go for nice swimwear for Ocean Beach, we didn’t go all out because it was just too hot. On the flip side, it is the perfect place to wear something a little bit glitzy and different so I did take the opportunity to wear a couple of new pieces like my new Festival Queens top (which I just wrote a post about) and my Jungle Club Clothing swimwear. I’m hoping to put together a kind of Lookbook/ What we wore in a week video on my YouTube channel, but for now why not check out Amy’s vlog of the week? So there you have it, a little guide to Ibiza, if you’re planning on going soon I hope this was helpful. Let me know in the comments below what you favourite place in Ibiza is! I have never been to Ibiza because party islands aren’t really my thing but after reading this post, I’m rethinking that. I know that there are two halves of the island – one half is really pretty and relaxed and the other half is party central, was this the case when you visited?